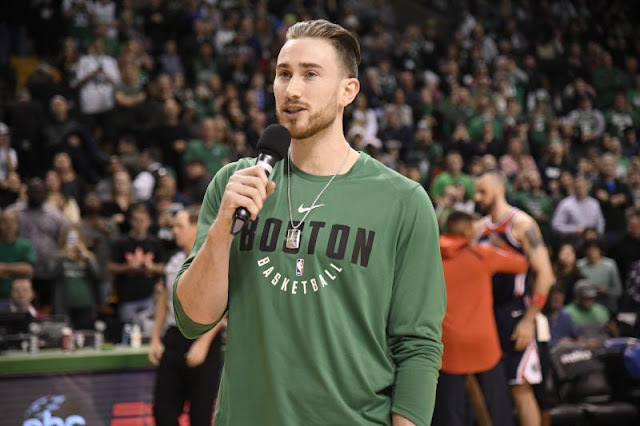 It's probably fair to say Gordon Hayward has a lot of time on his hands.
.@gordonhayward's had a lot of time to watch film this season..... a LOT of time. Of course, that doesn't mean he's been sitting around watching Netflix and eating potato chips, either - he's been hard at work with his rehabilitation, and watching film on how his team has been evolving in his absence, too. I will have to say it's heartening to hear where's he's at in terms of progress (watch the video to hear for yourself), as well as to know he's planning like he needs to know how he'll fit into the lineup, even if Danny Ainge and Brad Stevens are doing their best to convince us that's a pipe dream. Enjoy the clip, it's some welcome news in a week full of bad - no complaints here.